Thanks to smartphones, you no longer have to run to a computer for things like banking, shopping, and posting to social media. But how you arrange your smartphone apps can also help you speed up everyday tasks. What’s that? You simply leave the apps the way your phone maker (or service provider) laid them out for you? And when you download new ones, you leave them randomly placed on your screen? You can quickly and efficiently access your apps with fewer taps and swipes, by customizing where your apps are, how they’re presented, and which apps you prioritize. Whether you’re running Android or iOS, the following options might be able to shave off some time or reduce frustration. For obvious reasons, the first thing you want to prioritize is the apps you tap the most. 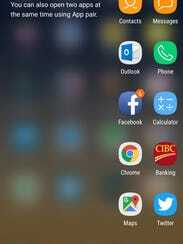 Smartphone makers often line the bottom of your home screen with suggested apps for easy access. If you find tapping these apps with one hand is intuitive – even as these phones are getting bigger – then stick with this layout. But you can change which app icons are at the bottom of the screen. For example, Apple will give you Safari as a web browser, but why not replace it with Chrome, if that’s what you prefer? 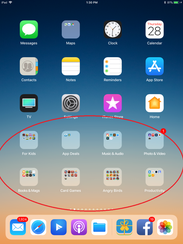 You can also swap around the order of the bottom-row apps, and in some cases you can drag and drop an extra app or two to extend it to five or six of your favorite apps (depending on the phone). Or drop them down to three apps, if you like. Some smartphone owners prefer to line the side of their smartphone with their favorite apps, as they find it’s easier to tap with one hand than reaching towards the bottom of the screen. You can manually place your most-used apps on the side of your main home screen in Android or iOS – along the right side if you’re right-handed, or the left side if you’re left-handed. 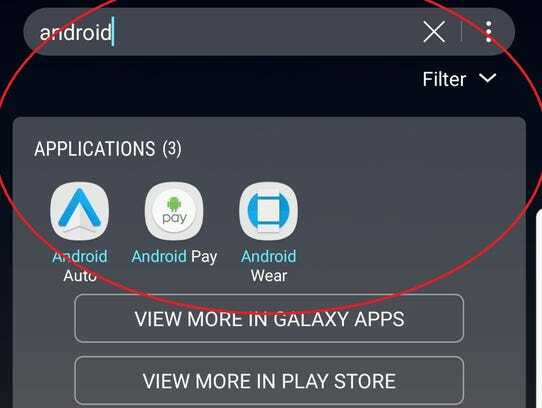 Speaking of which, the latest Samsung Galaxy devices offer an “Apps Edge” feature, which lets you instantly access the apps you use the most by swiping your thumb in front of the right side of the screen (lefties can change this, too). You will see 10 of your most used apps here (which you can modify, if desired). With the Galaxy Note 8, you can also open two apps at the same time using a feature call “App Pair,” for a split-screen view. Swipe again from the right (or left) side for a “People Edge” panel, where you can add your closest contacts for quick access. But what about all the other apps you have on your phone? There isn’t a one-size-fits-all approach to organizing all the apps on your smartphone. Most people group them by frequency, such as your most-used apps on the first page of your homescreen. Others group by type of app, such as devoting one page each for Games, Photography, Social Media, News, and so on. Few people adopt an aesthetic-based icon arrangement, where the icons simply look good together, perhaps grouped alphabetically, or by color (seriously, it’s a thing). Whatever you prefer, don’t forget both Android and iOS also let you also lump similar apps together into folders. If you’re segregating by theme, then you might have folders for Work, Social, Kids, Travel, Games, Sports, Photography, and so on. That way, all related apps are in the same place and you’ll see miniaturized icons on the folder for a quick glimpse at what’s inside. You can always rename the folder if you don’t like what the opersting system comes up with for you. If you’re a digital packrat and you have way too many apps, sometimes the fastest way to find what you’re looking for is to search by keyword or by using your voice. With the former, you can swipe down on the screen in Android and iOS, which reveals a search window, and you can type in the name of the app. Easy peasy. In iOS, it will also show you apps you’ve used recently. 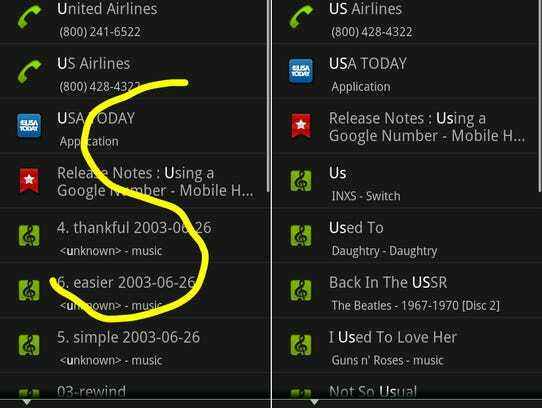 And if you’re on Android, there’s also Google Gesture Search, to help you find something quickly. 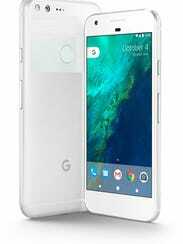 It’s a free app from the Google Play store that lets you draw a single character and get a quick list of matching items on your phone — such as “U” to see “Uber, or “US” to see “USA TODAY.” It also works with contacts, settings, music, and browser bookmarks. When you see what you’re looking for, tap it to launch. In short, there’s no right or wrong way to organize your apps, so see what works best for you. With over 20 years of industry experience, Marc Saltzman (@marc_saltzman) is one of the most recognized and trusted technology evangelists in North America. Marc is a freelance columnist for more than 40 publications (including a syndicated column with USA TODAY), a prolific (16-time) author, radio + television personality, public speaker, and host of “Gear Guide” on Cineplex movie screens nationwide.